The podcast is crew is back after a brief hiatus with an entire show dedicated to Japanese role playing games. We talk about what makes the genre tick, what makes the genre not tick, and then we end up with what ticks Gagan off. Also William hasn't played Chrono Trigger, what a baboon. This week we have another addition to our best of gen 7 series, as we rank the best downloadable/indie games of gen 7. 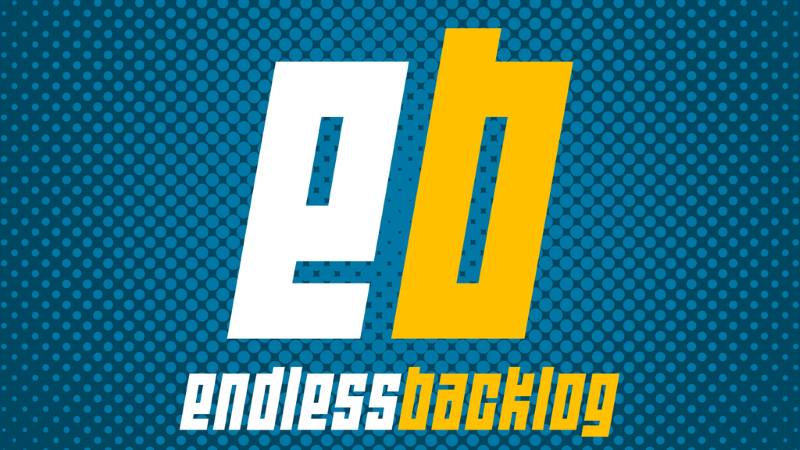 This week on the Endless Backlog Podcast the boys talk about the recent Silent Hills demo and video game marketing. The podcast crew this week talks a ton about the games they have been playing, from the likes of Bioshock Infinite Burial at Sea to Ultra Street Fighter 4. The podcast crew this week tackles the the legacy and current standing of the Tomb Raider franchise. We cover how and why the franchise was successful in the 90s, why it had a drop off, and why the reboot is worth a spin. We even find enough time to add in a new member to the team, have in depth conversations about Shampoo, and find time to talk about The Rise of The Tomb Raider "exclusivity". Brocast crew is back after taking a week off. This week we talk Destiny, some Destiny, and well Destiny. That and something about EA Access, American McGee's Alice, Transistor, and Divinity: Original Sin. After last week's deliberations on what were the worst endings of gen 7, we are back this week with the best endings of gen 7. The endings that made us sad, the endings that made us smile, and the endings that allowed us to be oh so badass. These are the best endings gen 7 had to offer. Also we made an exception for Persona 4, because we like good things. The 7th generation was filled with tons of bad endings to videogames unfortunately. In many ways some of the defining moments of gen 7 were those bad endings and let downs, so we decided to rank which of them were the 10 worst this week on The Endless Brocast. Hope all is well where you are, it's about that time of the week again for another Endless Brocast. This week on part 5 of our best of gen 7 series we kibitz and debate about the best platformers of last gen. Ben, Brian, and Gagan argue the finer points of Mario Galaxy, Super Meat Boy, and if Little Big Planet deserves a spot in spite of its mechanics.